Product Consist : Arrangement of 12 Mix Flowers Like 8 Red Carnation and 4 Yellow Liles with Lots of Fillers in a Glass Vase. Flowers make the ideal gift and even more ideal is an arrangement of lilies and carnation in a glass vase. 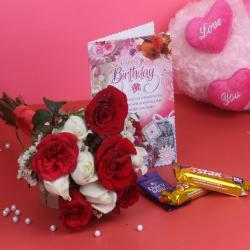 It is a collection of flowers full of charisma and heartiness to brighten up any festive occasion or celebration. It also makes a perfect gift for everybody. 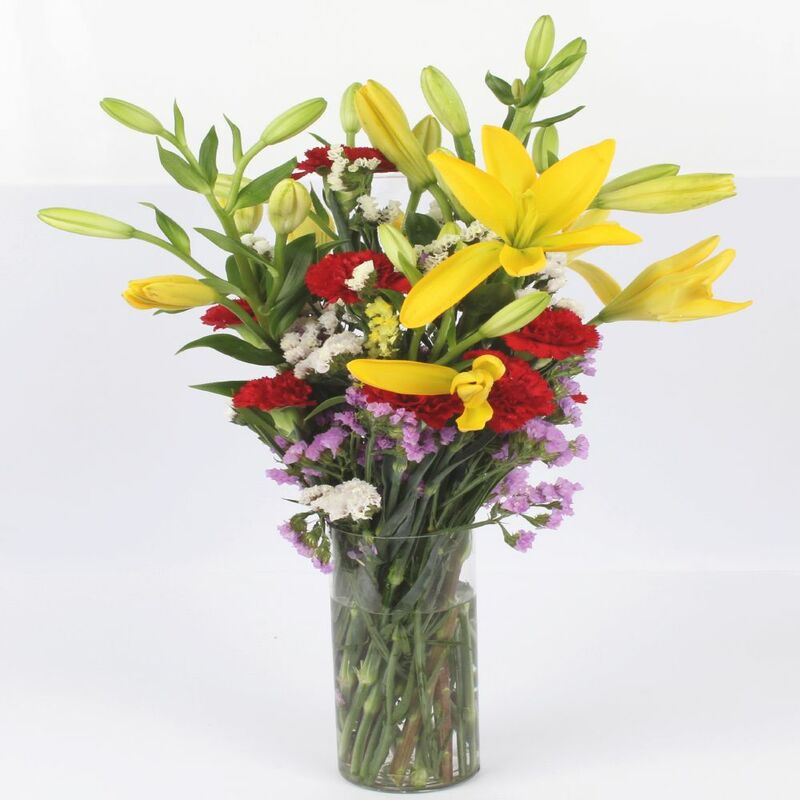 Simply buy your lilies and carnation glass vase online with Giftacrossindia.com and relax as we find the freshest and best flowers to brighten up the day of the special person in your life. Rain or shine, we will deliver what we have promised to deliver. Nothing can stop our resilient team of delivery personnel from transporting your wishes to your dear one, wherever in India they may be. 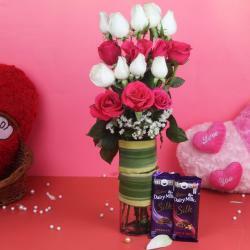 We have midnight delivery so that your dear one can bring in the celebrations as the clock strikes 12 at midnight. We have urgent delivery and same day delivery - all of them for your great convenience. 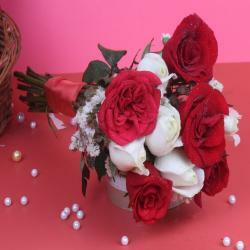 Product Consist: 12 Mix Flowers Arrangement in a Glass Vase.